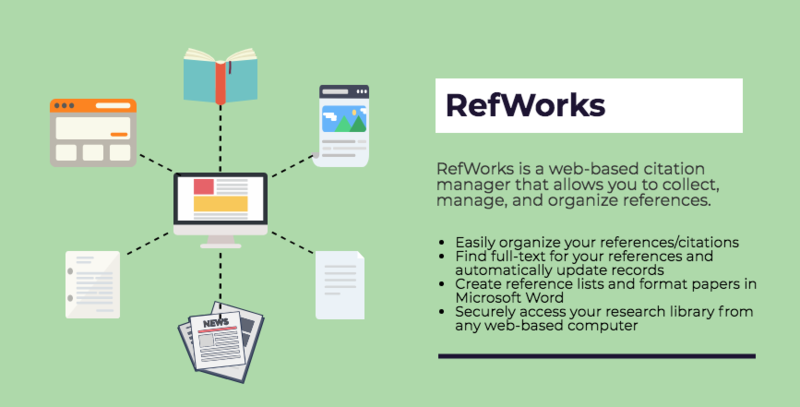 Still have questions about RefWorks? Fill out the form below and a librarian will contact you shortly with help! Select "Medical University of South Carolina" from the Institution pull-down menu and click on "Login"
Web-based citation manager that allows you to create your own personal library of citations by importing references from databases and other sources, as well as automatically format your paper's in-text citations and bibliography. Works with Microsoft Word 2016 and Google Docs.